Anne and I just got back from the Human Factors and Ergonomics Society conference held in San Antonio. We plan on posting some snippets of posters/talks that we found interesting in an upcoming post. But in the mean time, here is a panorama of the view from our hotel. 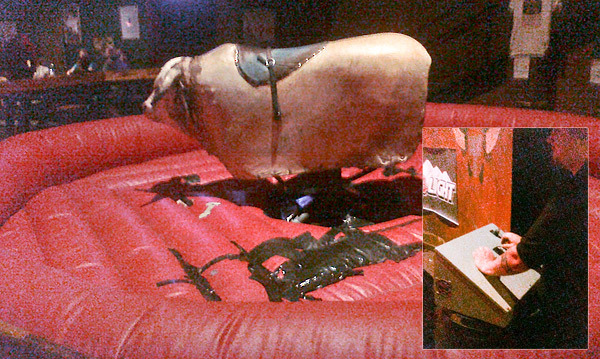 Mechanical Bull? Now I’m really jealous I couldn’t go.